Armchair. 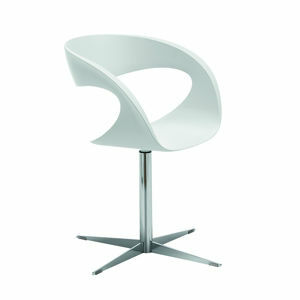 Shell in Baydur plastic or upholstered with fabric or leather. Steel cross base with white, ash grey or polished chrome finish. Swivel.